Daimler launched production of the Mercedes-Benz CLA Shooting Brake in Hungary today. 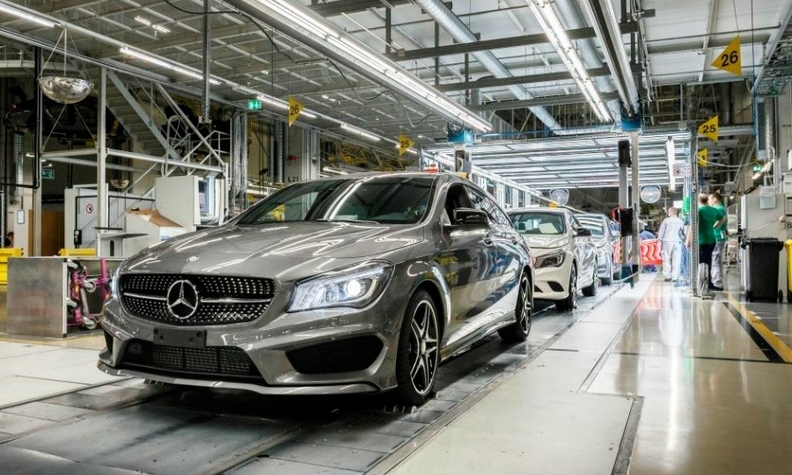 KECSKEMET, Hungary (Reuters) -- Daimler will boost output at its Mercedes-Benz factory in Hungary after the automaker launched production of a new model, the CLA Shooting Brake, at the plant today. "We have invested a billion euros ($1.2 billion) into this factory and we will invest more," Thomas Geier, head of the Kecskemet plant in central Hungary, told a news conference through an interpreter. He did not specify how much more Daimler would invest or how much output would rise at the factory, which produced 150,000 cars in 2014, Daimler said in a statement. Geier said strong demand for compact Mercedes models, including the B-class and CLA models made at Kecskemet, was behind the decision to boost output at the factory. "We will invest in the future as the compact car family develops further," he said. "There will be a new series and the Kecskemet factory will take part in this actively." The CLA Shooting Brake joins a compact lineup at Mercedes that also includes the CLA sedan and the GLA crossover. Global sales of Mercedes compact cars grew by 25 percent in 2014 to 463,152, the automaker said earlier this month.